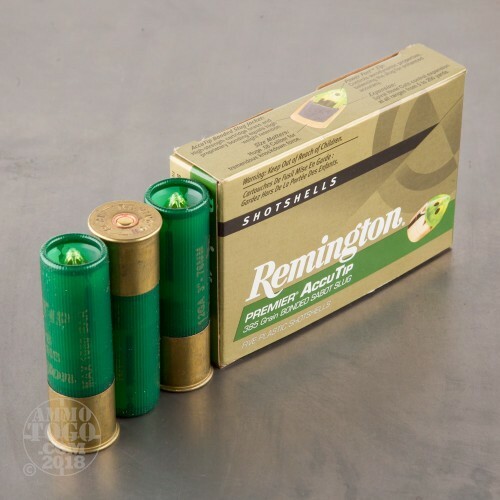 This 12 Gauge shotshell by Remington is loaded with an exceptionally hefty 385 grain bonded sabot slug, just the thing for toppling a whitetail over right where it stands. The slug features the Power Port tip, which is made of strong polycarbonate and enhances the projectile’s aerodynamic properties in flight for stellar accuracy. Rarely will you find a slug that’s able to group so tightly at 100 yards -- its performance is not incomparable to that of a rifle bullet! 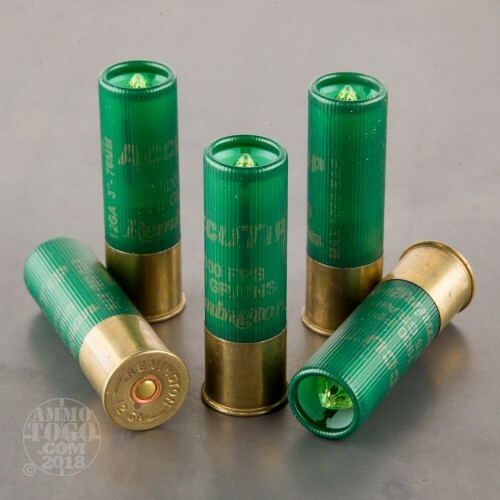 This 58 caliber slug has spiral nose cuts and a bonded brass jacket, enabling it to expand massively but in a controlled fashion as it burrows through venison. 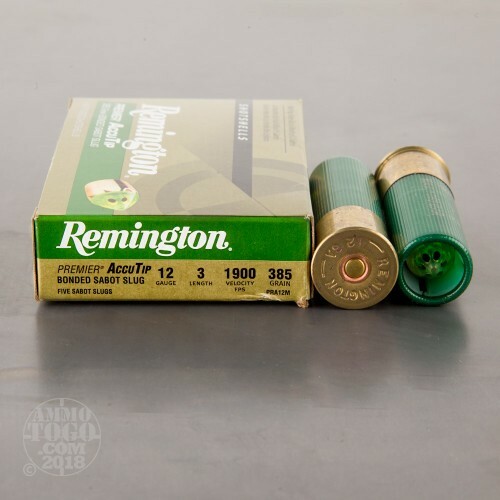 Remington’s tests have determined that this sabot slug mushrooms perfectly from five to 200 yards away, losing no more than five percent of its weight as it does so. 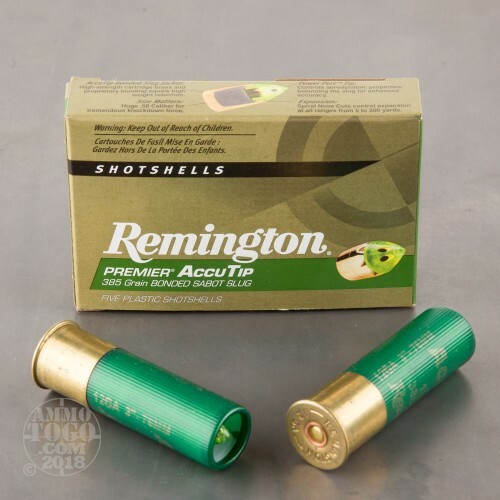 Whether you must adapt your hunting method to comply with the law or simply prefer the slug as your means of bagging big ones, this shell has got everything you need to turn a majestic buck into majestic tenderloin with berry sauce.